Anyone who’s going to U of T is aware that given its learned progeny, its claim to Canadian intellectual history, and its dimly lit 19th-century stone corridors, the university is basically a myth unto itself. Academic land of plenty, the university is alma mater to some of Canada’s sharpest minds (and most popular faces on weekday evening television), reserving a special place in its heart for Margaret Atwood, Robertson Davies, Frederick Banting, Lester B. Pearson and Donald Sutherland. It naturally follows that given U of T’s public image and its mystique, the school hardly need be ensnared in further intrigue. Myths nevertheless abound about U of T, so I’ve listed below the five I come across most frequently, plus my replies to them. Popular myth #1: Robarts library is sinking. Hm. I bought into this the first time I heard it, but it only took one person to dispel the notion and I realized I’d been duped. Fancy that the highly qualified engineers and architects who built Robarts forgot what is normally kept in libraries, so they didn’t include parameters in their blueprints to account for the weight of the books. Never mind that the whole building is a massive hunk of concrete that weighs thousands of times more than the books inside. Thank you, Roman Empire, for inventing a material strong enough that foundations are secure and libraries do not implode with us inside. Popular myth #2: Robarts was designed to promote a wind tunnel around the library’s outer walls in order to inhibit homeless people from hanging around the grounds. Right. Because hugging the outside of Robarts on a freezing February evening (immense, grey and uncomfortable cement block that it is) is far less comfortable than hugging the picturesque and daintily decorated façade of University College on an equally cold and windy winter night. Both must be highly alluring activities to engage in when you’re homeless. The architects must be quite pleased with themselves and their accomplishment. Popular myth #3: U of T is a really great place to start your career in medicine. Having taken a number of first-year science courses over the past year, I’ve been dumbfounded by the number of students I meet who tell me that they’re going to be doctors. I have nothing against ambition, nor goals, but given the fact that this is a university where marks are stringently kept within the limitations of a bell curve, meaning that the school encourages professors to only give out As to the top 16% of the class (or whatever two standard deviations is), there will be a lot of competition to stay in the A (not to mention A+) range. If you’re endowed with a draconian work ethic and are willing to study rigorously for four years to ensure yourself a 4.0 GPA, then fine. You will probably make it to med school, a chosen anomaly amongst thousands of other applicants. And congratulations! You definitely deserve it. But in that case, don’t fall in love. Don’t become embroiled in family dramas. And certainly don’t go through a major breakup mid-term, or generally experience any of the other major distractions that make life worth living. Okay, so I’m exaggerating a little. Plus there are some advantages to bell curves. The harder you work to get good marks, the more you will learn and the more rewarding your education will be in the long term. But getting into med school (or law school, for that matter) will never be an easy accomplishment, so be prepared that in choosing to come to U of T in order to start your professional career, you may end up pulling out half your teeth and sacrificing four months’ sleep in order to get that 85 in CHM138. Popular myth #4: It’s impossible to get As at U of T. Postscript to Myth #3. If you do decide to work hard, it will pay off, and you will undoubtedly come out stronger for it (if not a little scarred). It’s really not impossible to get good marks here, even if you work part-time throughout the year — the caveat being that you need to honestly curtail indulgences. Do the work ahead of time, go out less, turn off the TV, cut net surfing in half, study in advance, and stop cramming the night before. Sounds deceivingly easy. Popular myth #5: Going to U of T is a totally anonymous and impersonal experience. Yes, classes are massive, particularly in the first two years of school; profs rarely know your name until third or fourth year; and, yes, most of your grades are produced by TAs rather than by professors themselves. But I’ve gone to a smaller university, and it wasn’t all that different: teachers don’t go out of their way to contact you, or be nice to you. To boot, while studying here, U of T professors have recommended books to me, written reference letters for me, given me advice about my future, and even leant me a computer for a term. I came to U of T expecting to be an unacknowledged cog in the student wheel, but have since realized that all it takes to supersede anonymity is to visit teachers or TAs during their office hours, write them an email about an interest related to coursework, or talk to them after class about ideas for assignments or term projects. Really, whether or not your undergrad experience is an impersonal one is ultimately something that you will decide. HAHAHAAH I know I’m definitely on a commenting spree today but this made my day! Actually, this whole post was very enlightening. Just to clarify: you do NOT need to sacrifice 4 months’ of sleep to get a 85 in CHM138. It’s tough to get above 85 in a course like orgo, but knowing how to study and what to study for is key. REALLY REALLY know your stuff inside out to a point that you can sit down with blank sheets of paper and explain the concepts of the main topics covered on your term test to a friend–I promise you’ll get an A. On a totally random sidenote: WHY DOES CONSTRUCTION ON ST. GEORGE ST. NEVER SEEM TO END!?!?!?!?!??!?!?! 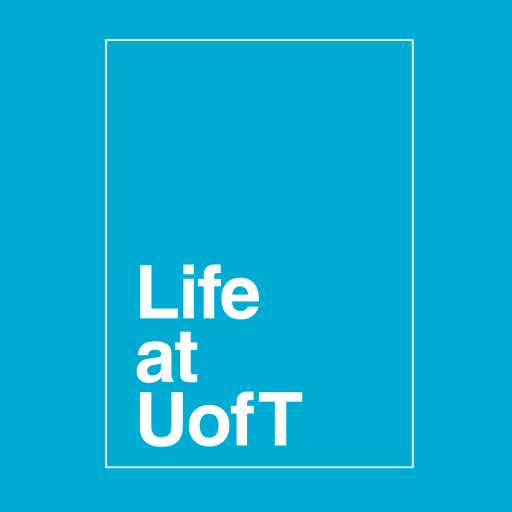 Here’s where I’ve gotten into arguments with people about U of T. Whether or not you get to know people, or are able to get involved, or whatever, is really ultimately up to you. It’s not hard, and all the profs, staff and faculty LOVE seeing students who are involved. They (most) love hearing about what you’re doing, and help you any ways they can. A friend complained about not knowing about events, but then told me that she doesn’t check her utoronto account and she throws out anything U of T sends her before reading them. TL;DR: You need to be proactive about what you want happen in your university education. The opportunities are there, especially since U of T is so big.